I missed this exhibition when I was in Paris recently. A great pity, I would have liked to have seen it. Some rare photographs that I have never laid eyes on before. 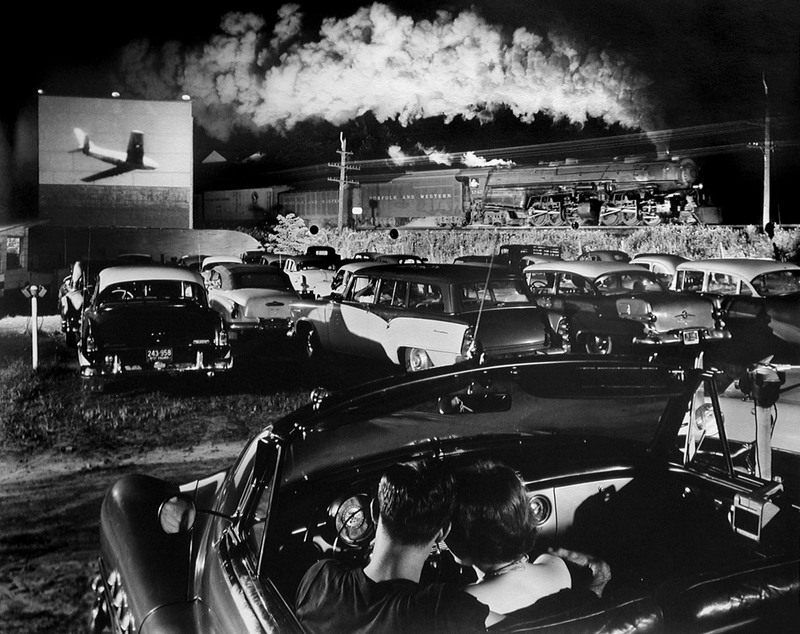 I especially love Ray K. Metzker’s Washington, DC. The photography in both Paris and London was disappointing during my month overseas. 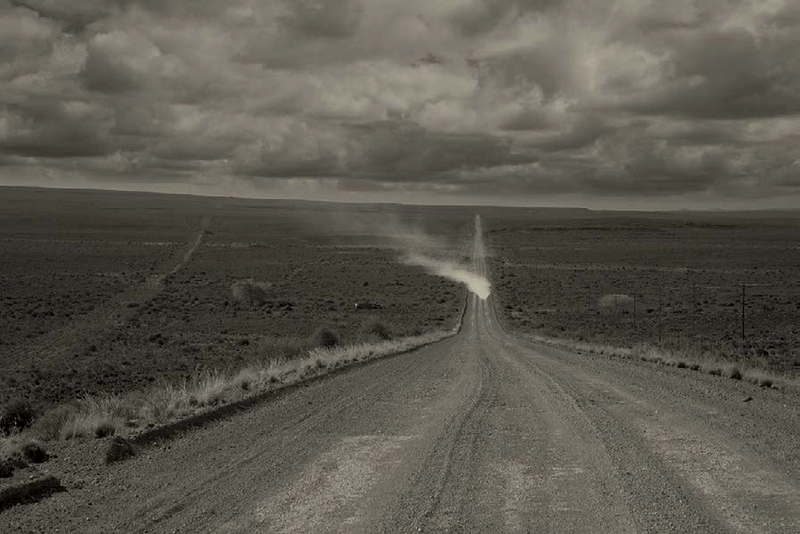 Other than a large exhibition of Gregory Crewdson’s photographs at the Photographers’ Gallery London, there was not much of interest on offer. 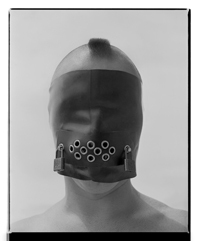 Many thankx to Fondation Cartier pour l’art contemporain for allowing me to publish the photographs in the posting. Please click on the photographs for a larger version of the image. 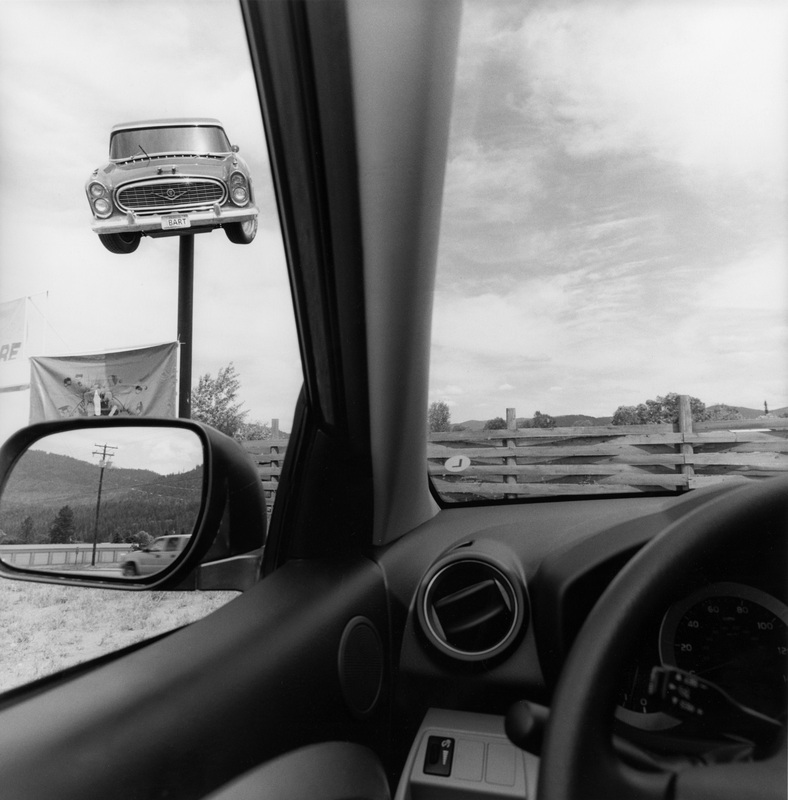 Thirty years after the exhibition Hommage à Ferrari, the Fondation Cartier pour l’art contemporain will once again focus its attention on the world of cars with the exhibition Autophoto, dedicated to photography’s relationship to the automobile. 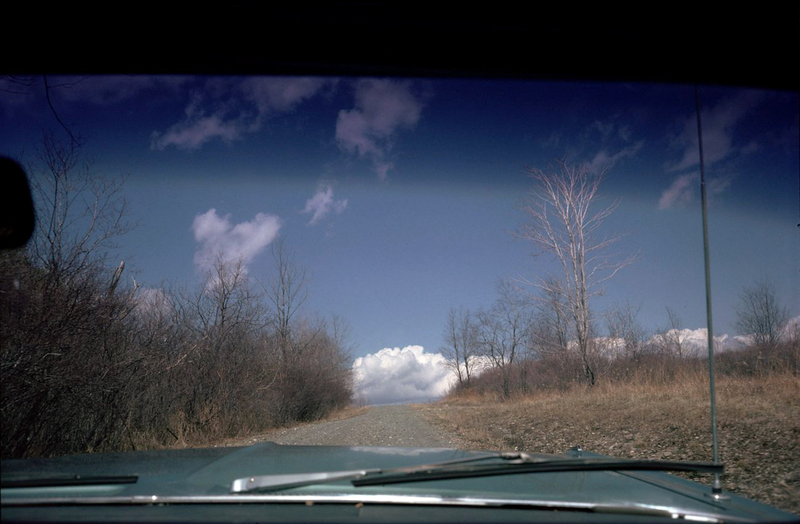 Since its invention, the automobile has reshaped our landscape, extended our geographic horizons, and radically altered our conception of space and time. 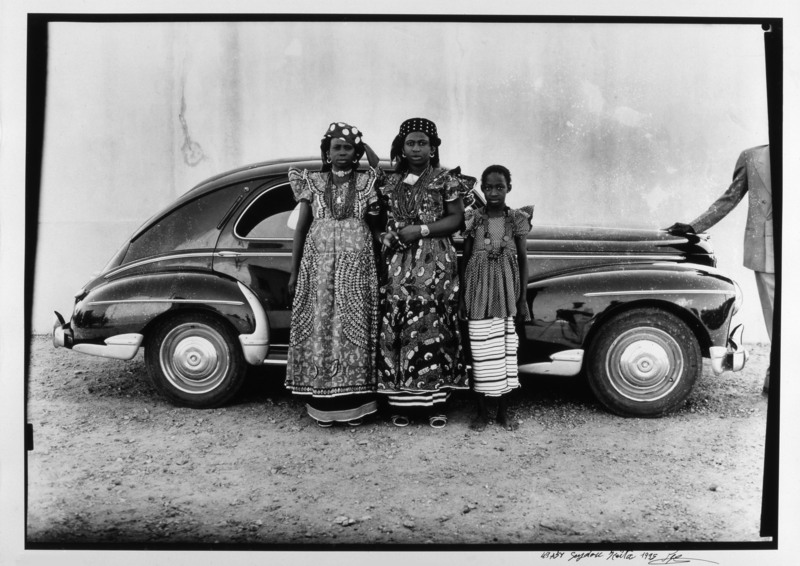 The car has also influenced the approach and practice of photographers, providing them not only with a new subject but also a new way of exploring the world and a new means of expression. 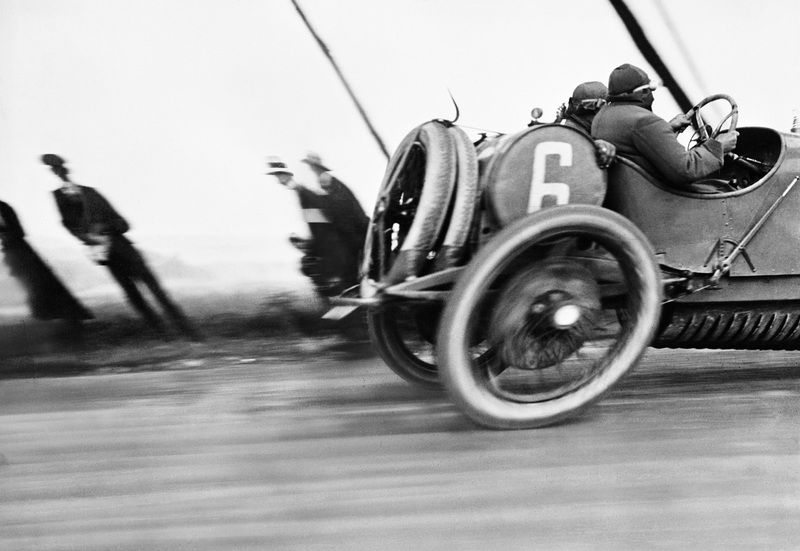 Based on an idea by Xavier Barral and Philippe Séclier, Autophoto will present over 500 works from the beginning of the 20th century to the present. 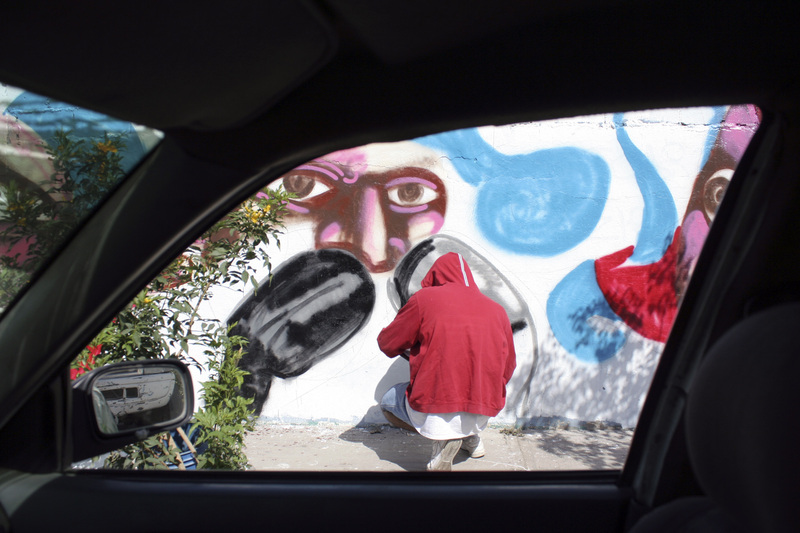 It will invite us to discover the many facets of automotive culture – aesthetic, social, environmental, and industrial – through the eyes of photographers from around the world. 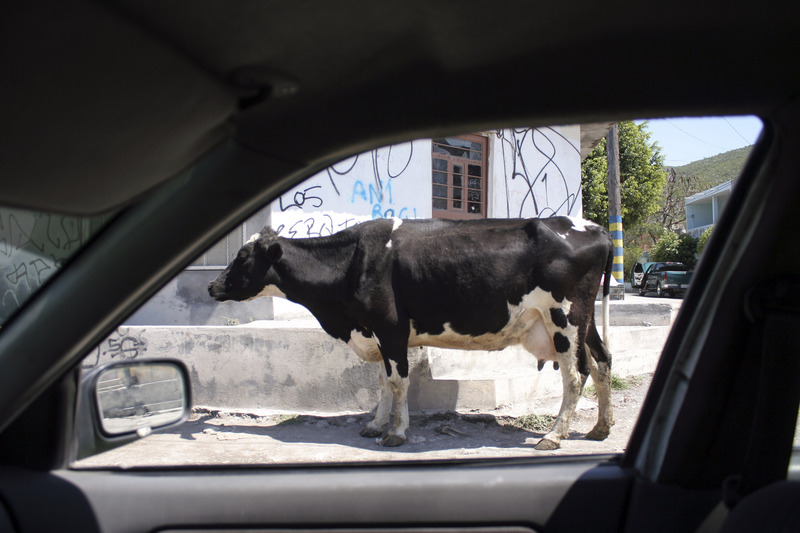 The exhibition will bring together over 90 photographers including both famous and lesser-known figures such as Jacques Henri Lartigue, William Eggleston, Justine Kurland and Jacqueline Hassink, who have shown a fascination for the automobile as a subject or have used it as a tool to take their pictures. 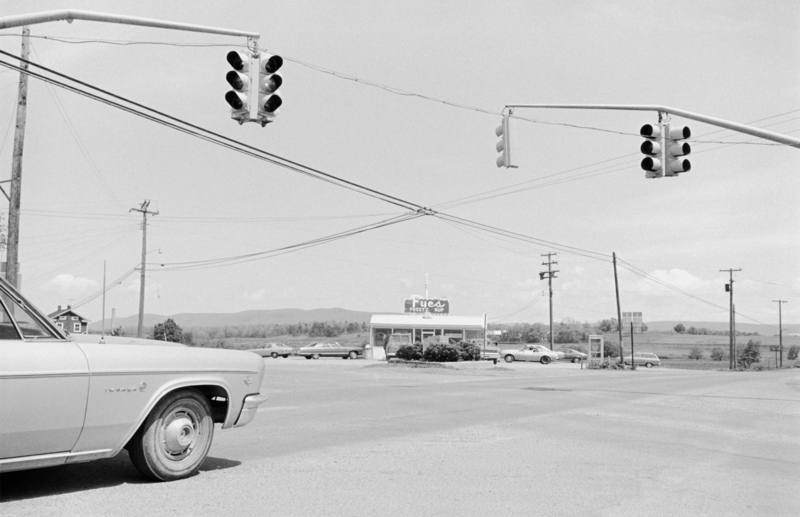 © Henry Wessel, courtesy Galerie Thomas Zander, Cologne. 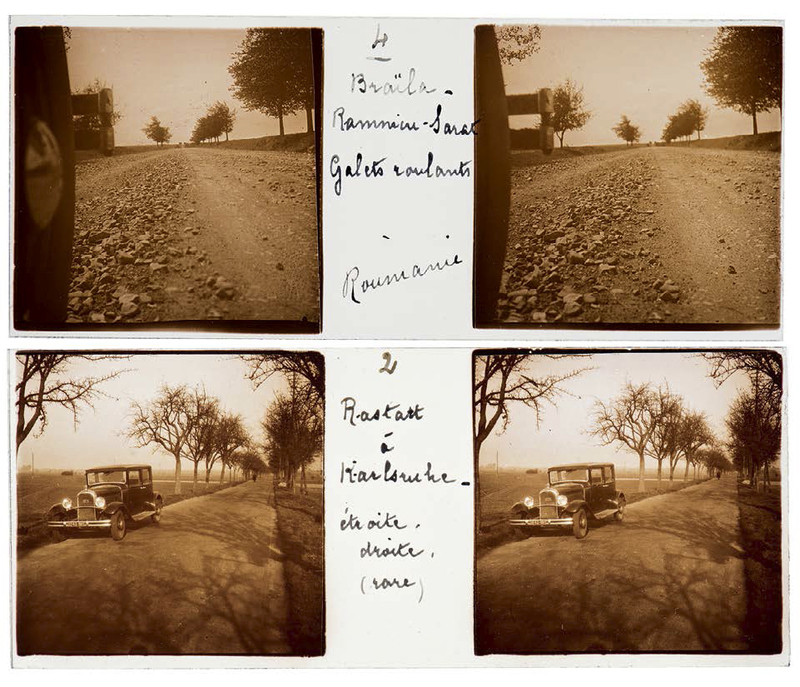 In the early 20th century, the automobile and its impact on the landscape had already become a subject of predilection for many photographers, influencing both the form and content of their work. 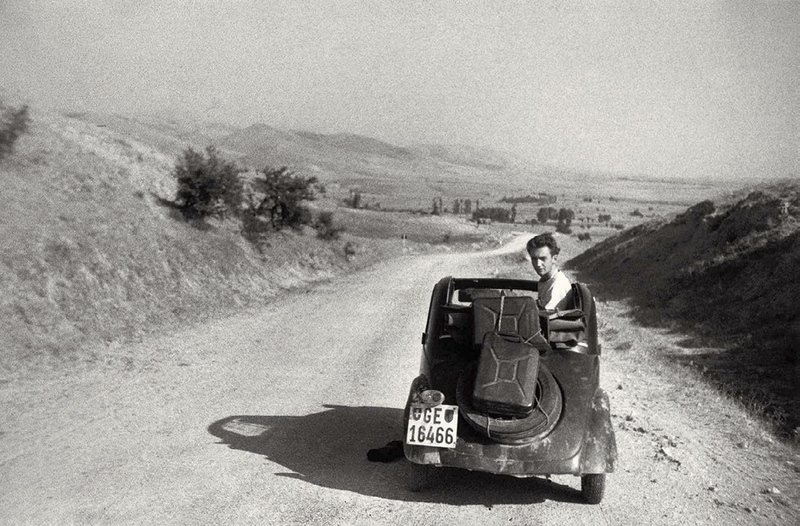 The exhibition will begin by focusing on early photographers like Jacques Henri Lartigue, Germaine Krull, and Brassaï, who used the automobile to varying degrees in their work. They registered the thrill of speed, the chaos of Parisian traffic or the city’s dramatic car-illuminated nocturnal landscape to represent a society in transition at the birth of the modern age. 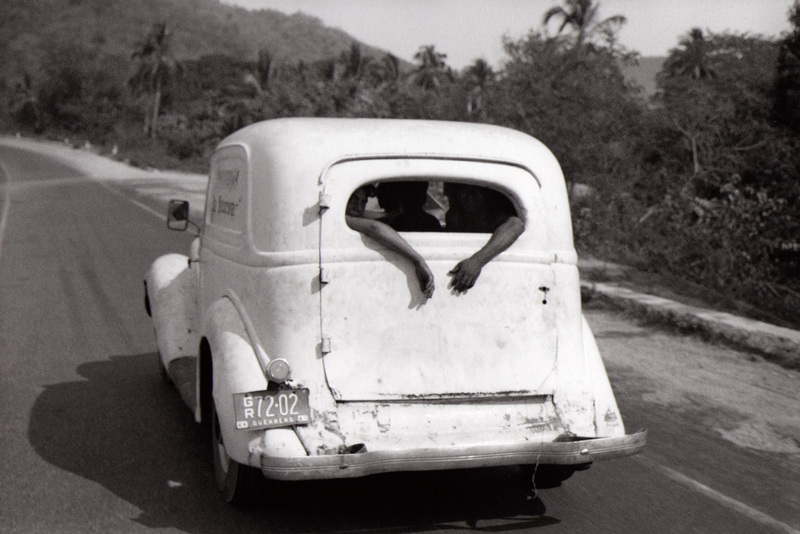 Other photographers of the time were attracted by the promise of freedom and mobility offered by the automobile. 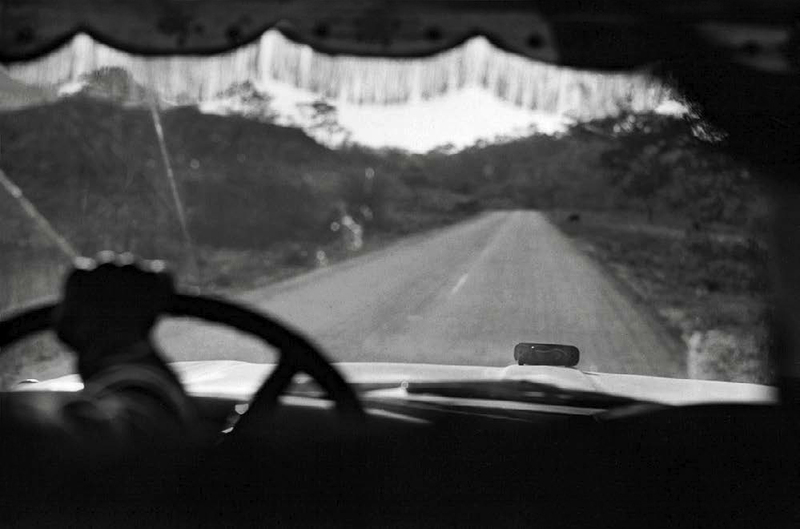 Anticipating the modern road trip, Swiss writers and photographers Ella Maillart and Nicolas Bouvier, travelled throughout Asia in the 1930s and 1950s respectively, using their cars and cameras to record their adventures along the way. 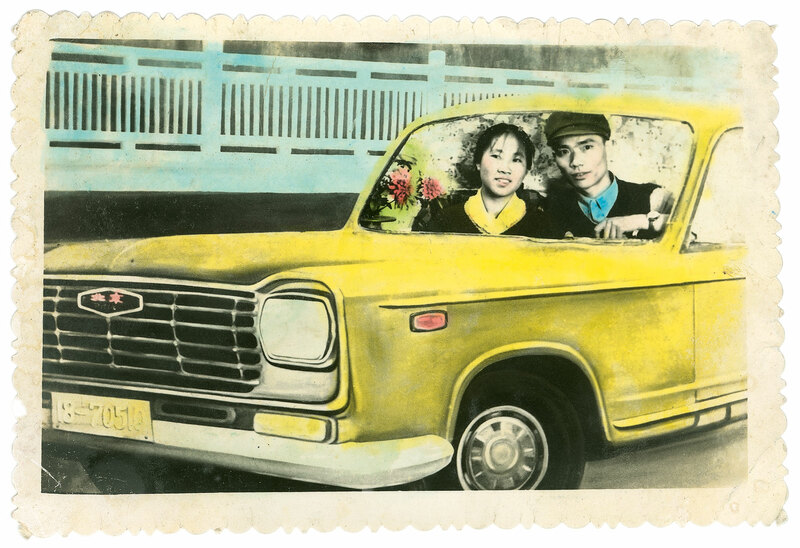 The exhibition will also present a series of “auto portraits”* made by a variety of photographers from the mi-twentieth century to the present. 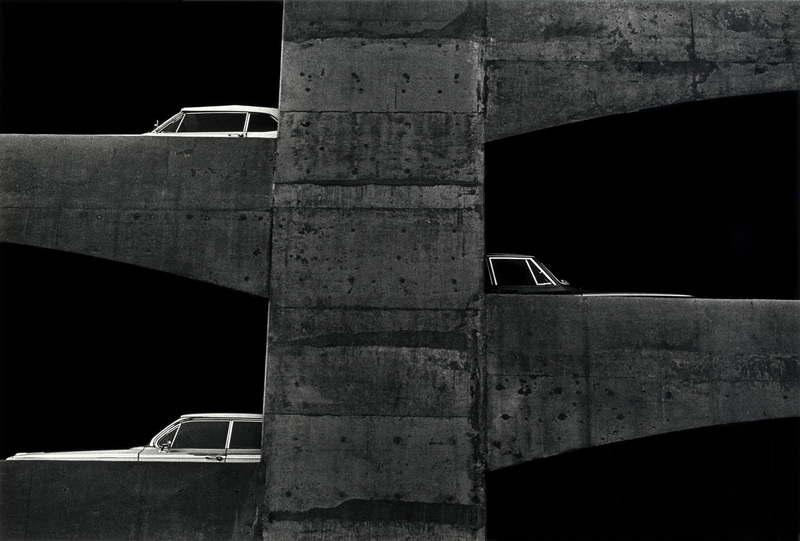 Yashuhiro Ishimoto and Langdon Clay’s photographs, for example, are portraits in profile of cars parked on sparsely inhabited city streets, that immerse the viewer in a different eras and atmospheres. 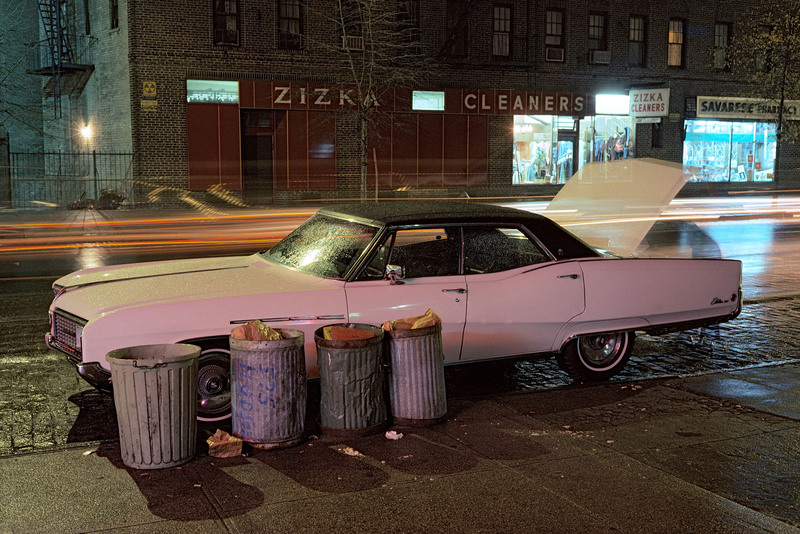 Ishimoto’s black and white photographs, taken in Chicago in the 1950s, emphasise their polished, curved silhouettes in a distanced and serial manner, while Langdon Clay’s colour pictures taken in New York in the 1970s, show their decaying and dented chassis in an eerie nocturnal light. 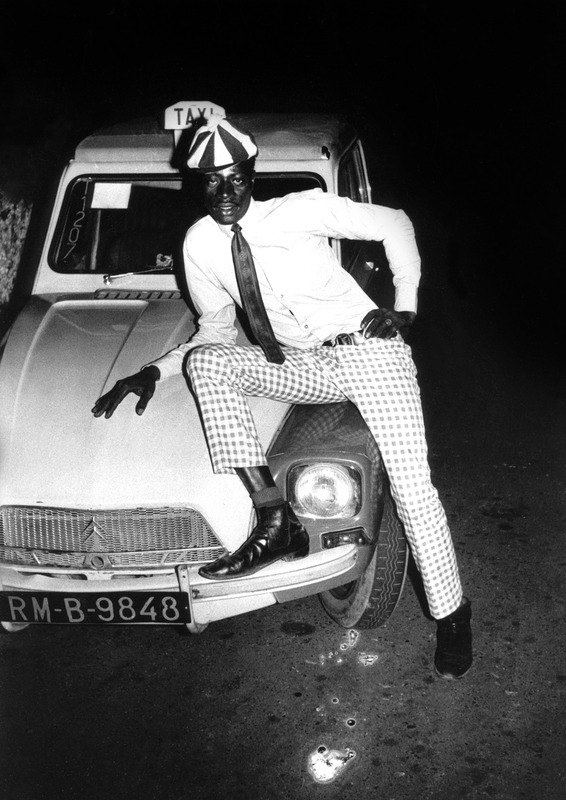 Other works in this section, such as the found photographs of Sylvie Meunier and Patrick Tourneboeuf’s American Dream series, or the flamboyant portraits of African photographers Seydou Keïta and Sory Sanlé, focus on the role of the automobile as a emblem of social mobility showing proud owners posing with their cars. *A play on words in French: auto portrait meaning self-portrait. 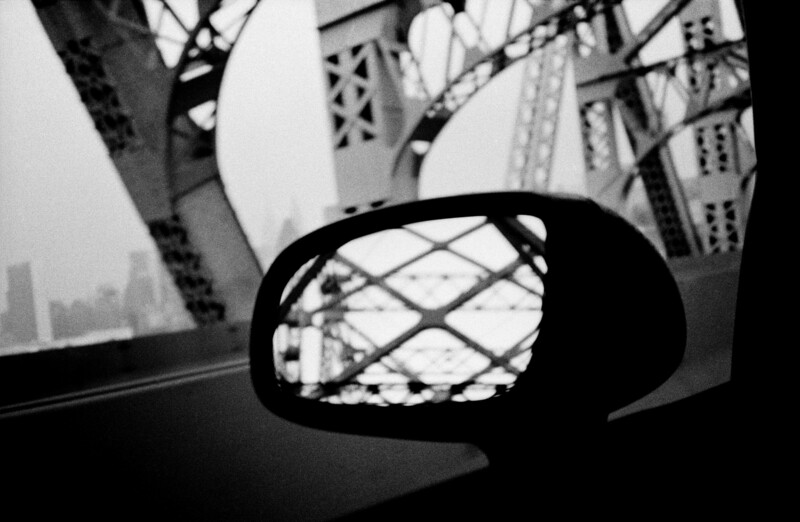 Many photographers have exploited the technical and aesthetic possibilities offered by the automobile, using it like a camera to capture the surrounding landscape through car windows or the reflections in rear-view mirrors. 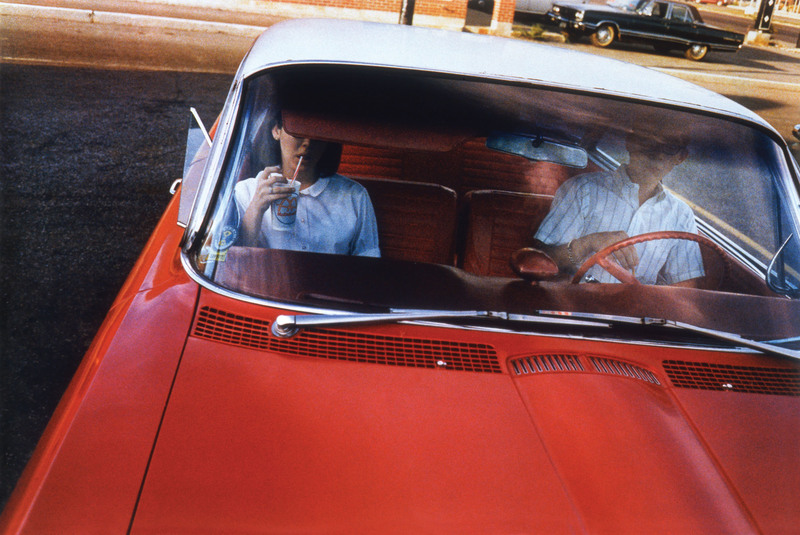 Cars have determined the framing and composition as well as the serial nature of the photographs of Joel Meyerowitz, Daido Moriyama, John Divola and David Bradford who have all worked from moving cars. 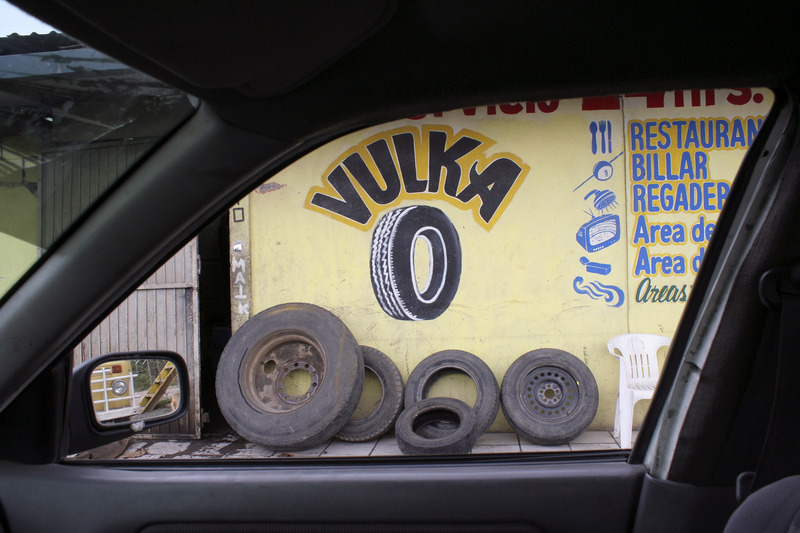 From behind their windshields, these photographers capture an amusing store sign, a white car behind a wire fence, a dog running along a dusty road, a highway stretching out into the horizon. 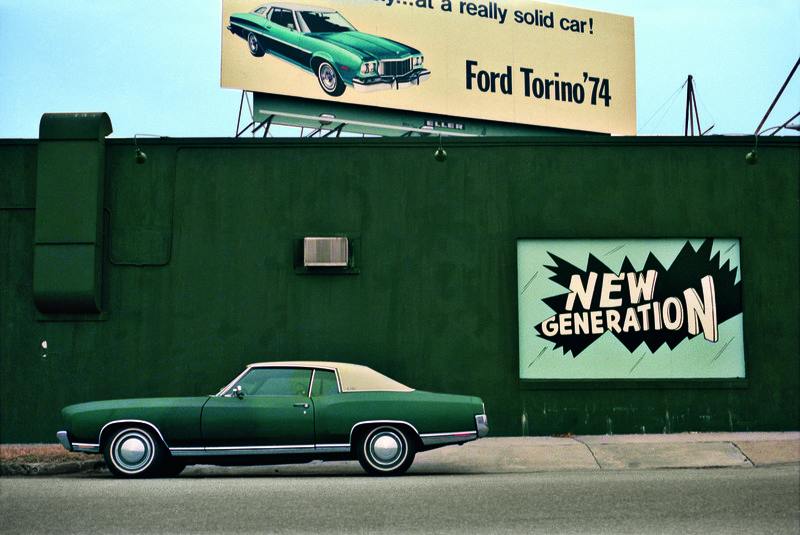 Other photographers, including Sue Barr, Robert Adams, Ed Ruscha, and Alex MacLean scrutinize our car-altered environment. 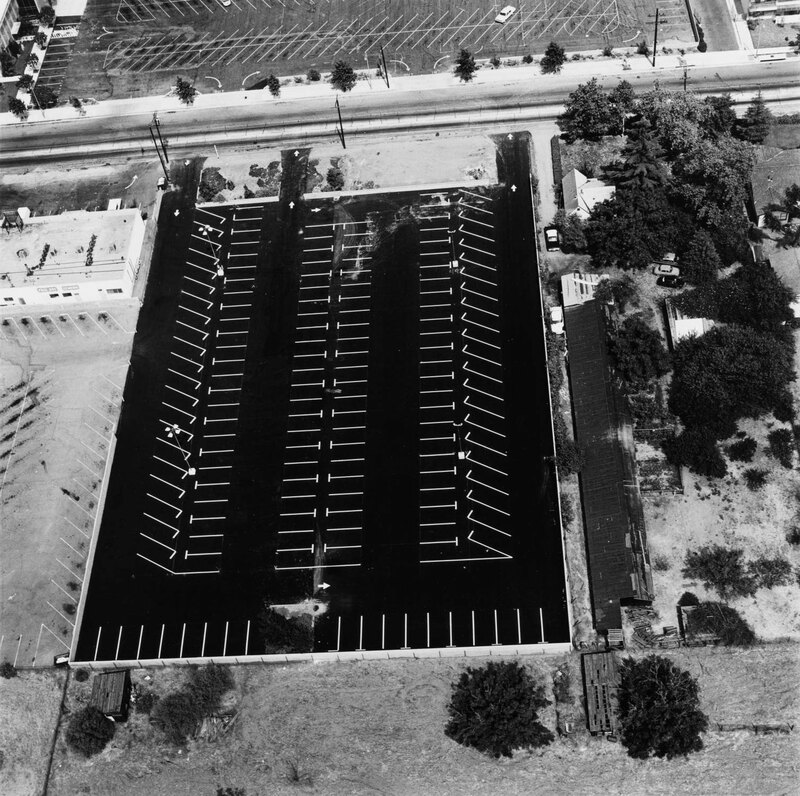 Their landscape is no longer one of magnificent mountains, wondrous waterfalls or awe-inspiring canyons, but of a world transformed by the automobile with its suburban housing complexes, parking lots, and highway infrastructure. 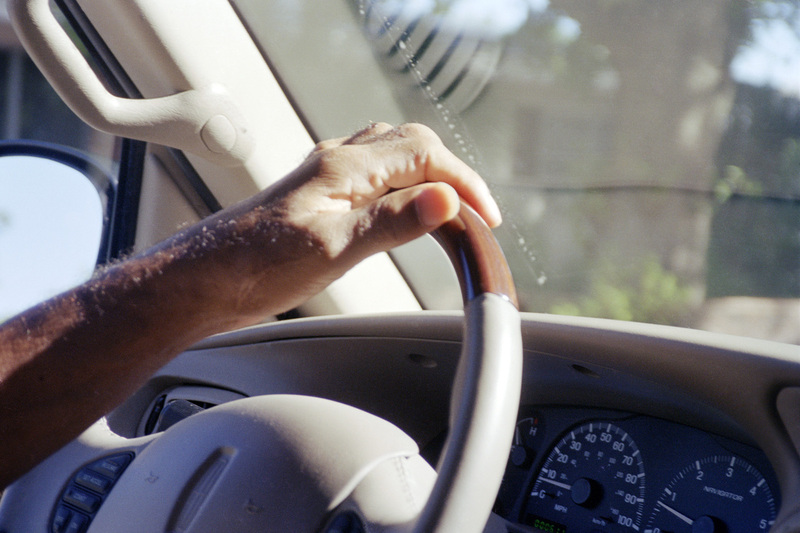 Many photographers have explored other aspects of our car culture, from the car industry and its impact on the environment to its role in history and society. Both Robert Doisneau and Robert Frank registered life in the factory, from the machines and productions lines to the activities of the workers lives, the first at the Renault plant in the 1930s and the second at Ford River Rouge in the 1950s. 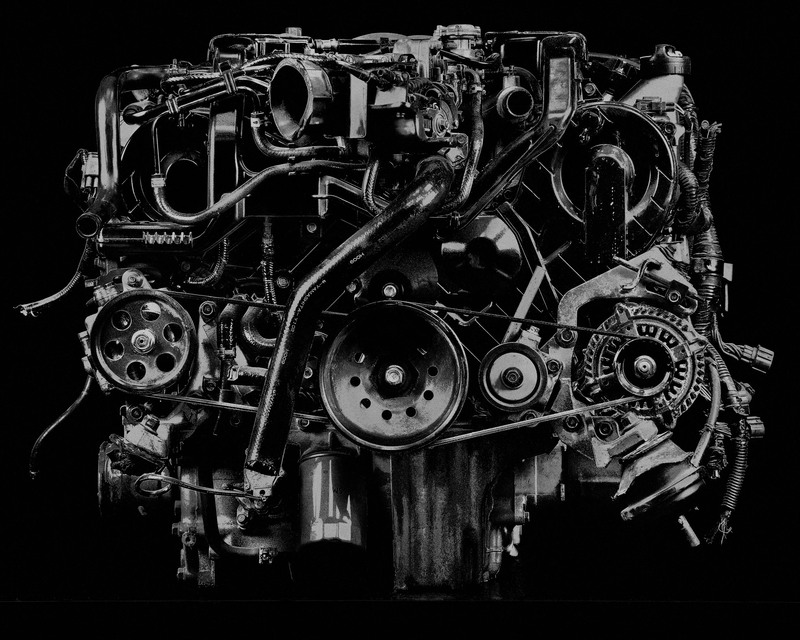 Their photographs, unique in their attention to individual assembly line workers, contrast with the work of contemporary photographer Stéphane Couturier whose deliberately distanced, impersonal pictures taken at a Toyota factory reflect the increasingly dehumanised nature of contemporary industry. Working in Ghana, far from the automated factory photographed by Stéphane Couturier, Dutch artist Melle Smets, and sociologist Joost Van Onna, put industrial waste from the car industry to good use. 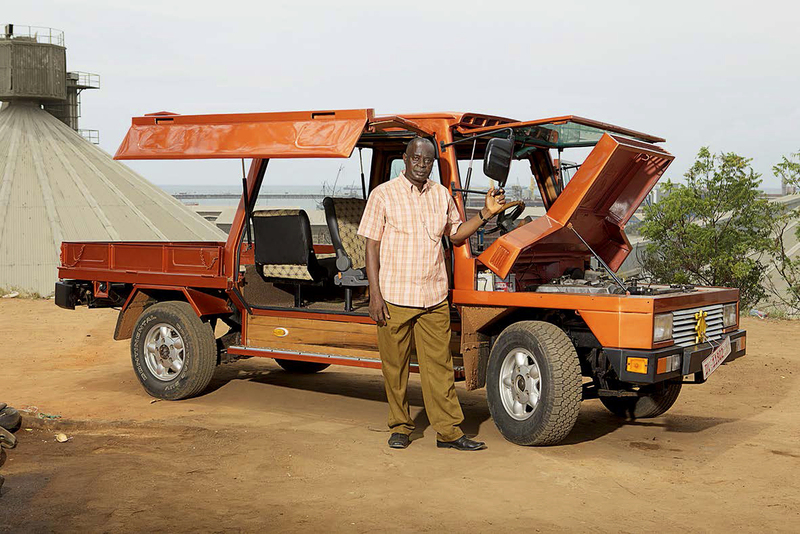 Collaborating with local craftsman in a region called Suame Magazine, where cars are disassembled and their parts traded, they created a car specifically for the African market called Turtle 1, using parts from different brands that happened to be available. 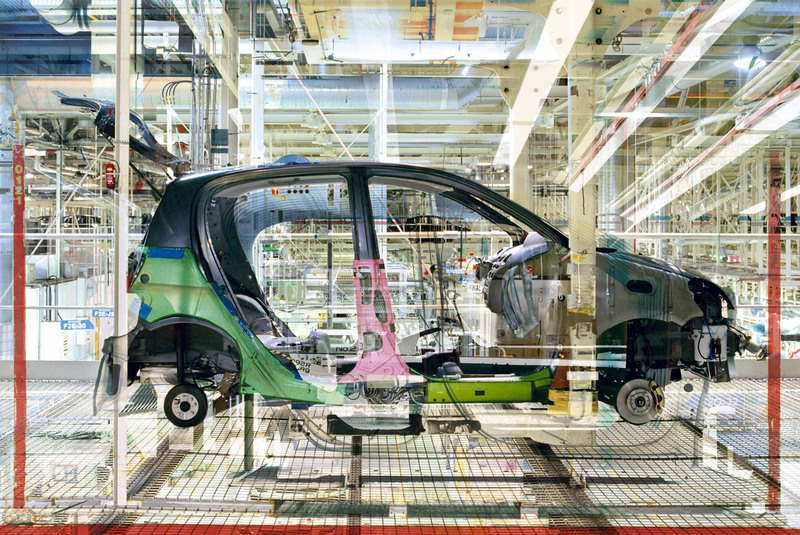 Their installation, which includes photographs, drawings, and videos, documents the entire fabrication process of this car. 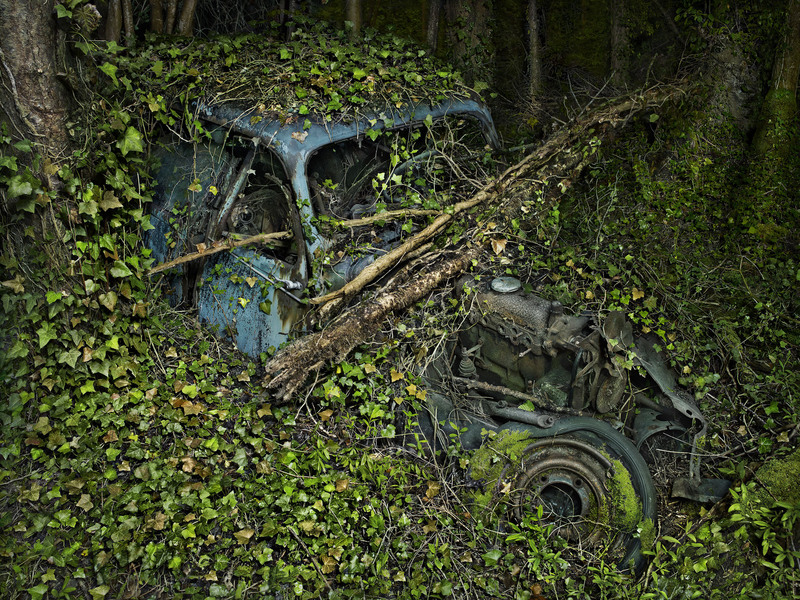 Photographers such as Philippe Chancel, Éric Aupol and Edward Burtynsky are concerned with the car industry’s damage to the environment. Philippe Chancel’s work focuses on the city of Flint and its dismantled General Motors factory, while Éric Aupol’s and Ed Burtynsky’s photographs reveal the sculptural yet apocalyptic beauty of industrial waste sites. 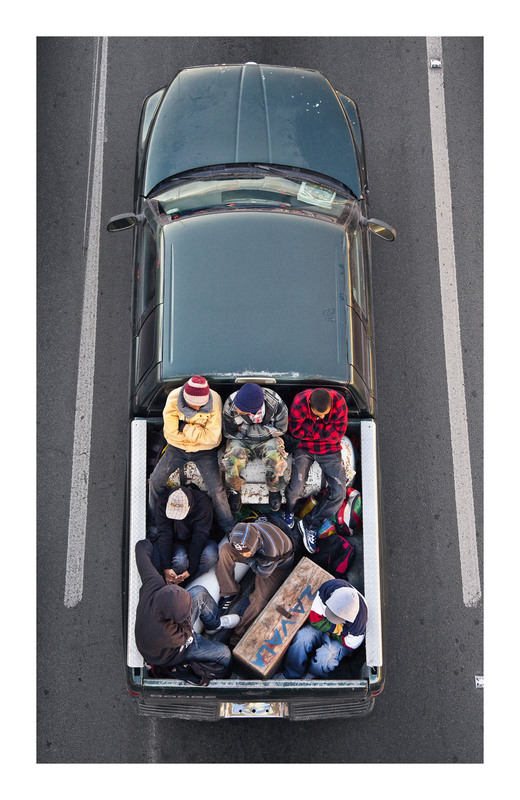 Other photographers reveal how the car plays an important role in historical events, in society and in daily life. Arwed Messmer’s Reenactement series brings together photographs from the archives of the Stasi showing how people used cars in unusual ways to escape from East Germany, and Fernando Gutiérrez work, Secuelas, explores the role of the Ford Falcon, a symbol of Argentina’s military dictatorship, in the collective imaginary of the Argentinean people. Jacqueline Hassink’s immersive projection Car Girls investigates the role and status of women who work in car shows around the world. 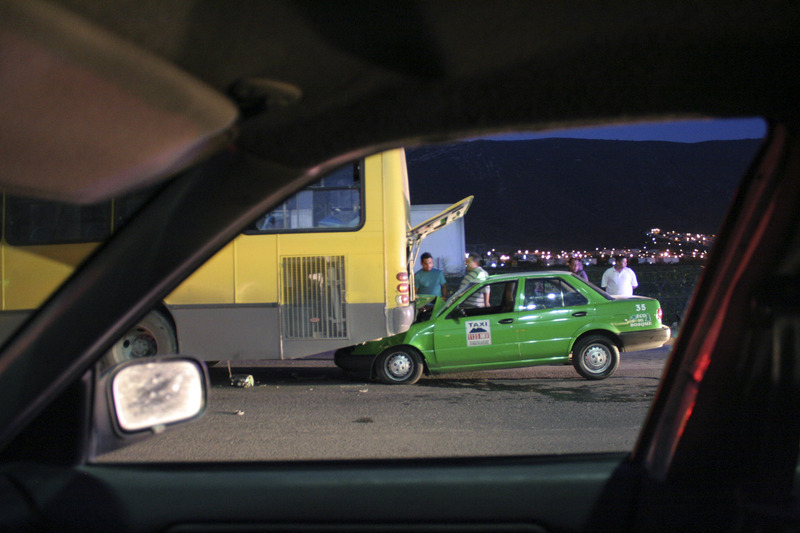 Martin Parr’s series From A to B chronicles the thoughts dreams and anxieties of British motorists. 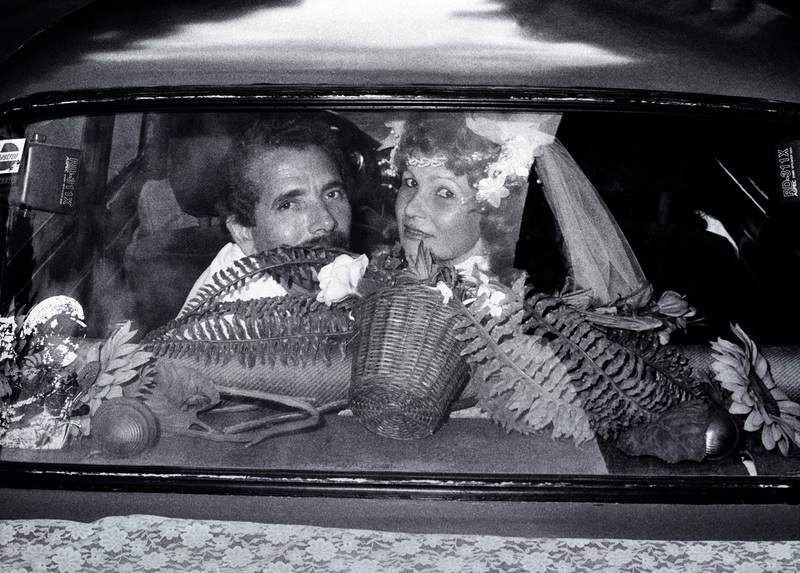 Still other series by photographers such as Rosângela Rennó, Óscar Monzón, Kurt Caviezel and Bruce Davidson show how the car has become an extension of the home, used for weddings and picnics, living and sleeping, arguments and making love. The Fondation Cartier has also invited artist Alain Bublex to create for the exhibition a series of 10 model cars that cast a fresh eye on the history of automobile design. 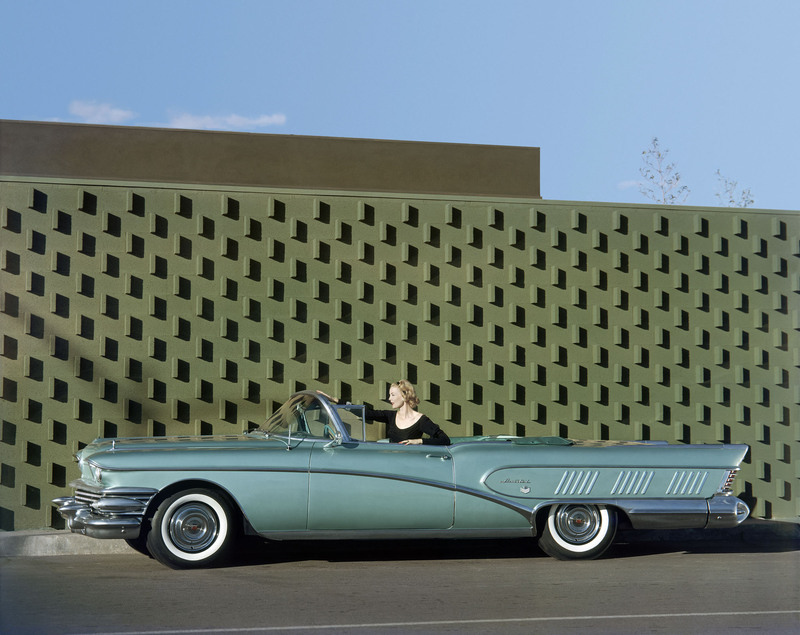 His installation combines photographs, drawings and models to explore how the car design has evolved over time incorporating new techniques, forms, and practices. 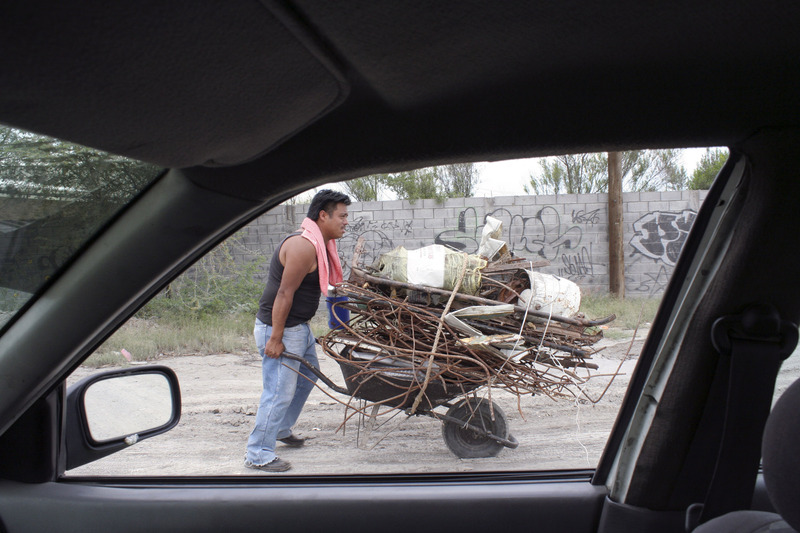 Despite energy crises, ecology movements, and industrial mismanagement, the car remains essential to our daily lives. 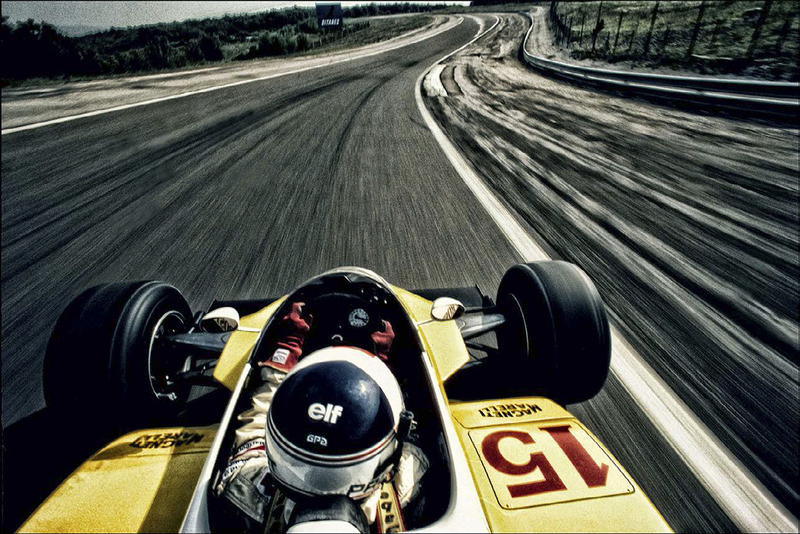 At a time when we are questioning the role and the future of the automobile in our society, the Autophoto exhibition reexamines, with nostalgia, humour, and a critical eye, this 20th century symbol of freedom and independence. 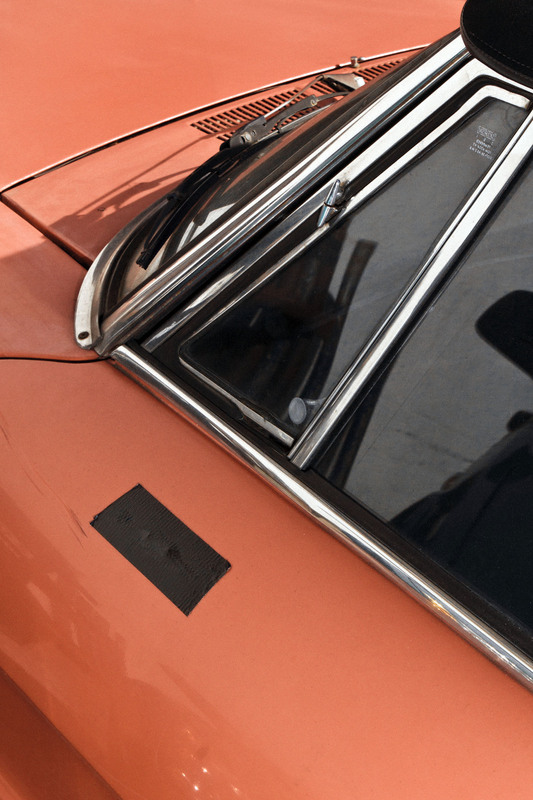 Bringing together over 600 images, the catalogue of the Autophoto exhibition reveals how photography, a tool privileging immobility, benefited from the automobile, a tool privileging mobility. 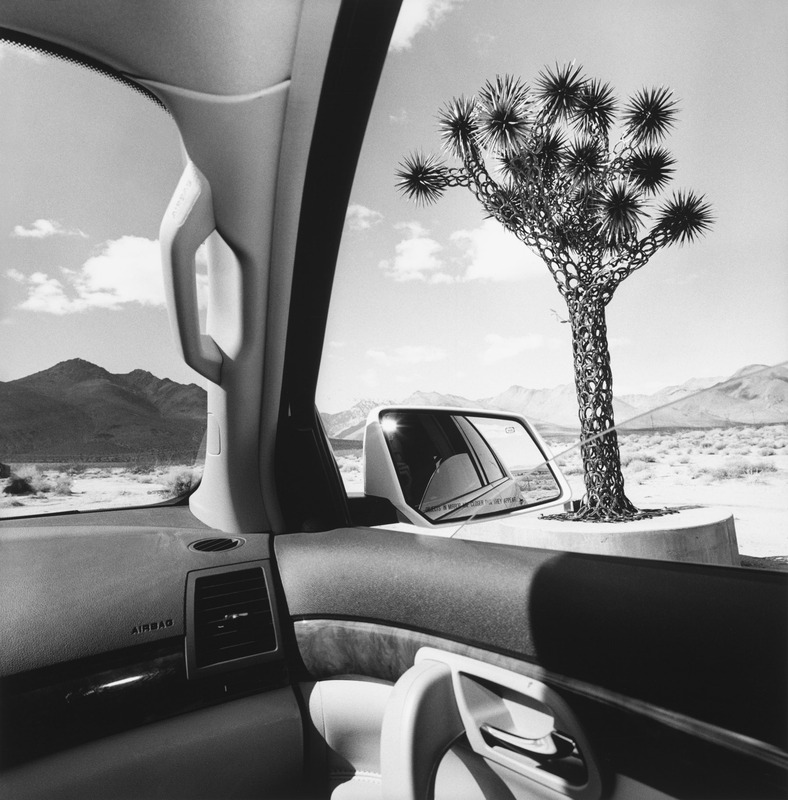 The catalogue features iconic images by both historic and contemporary photographers who have captured the automobile, and transformed this popular accessible object through their passionate and creative vision. 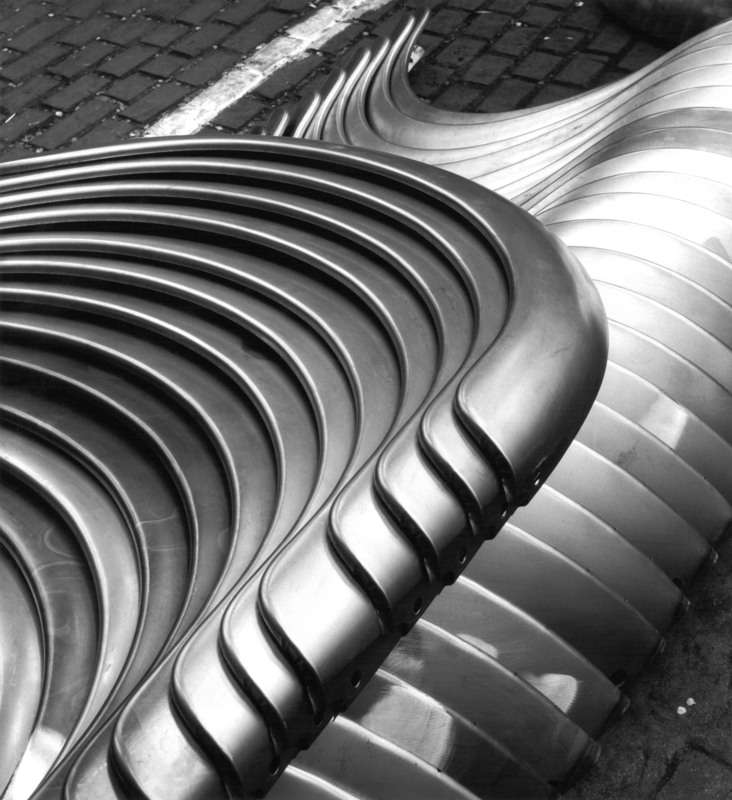 Quotes by the artists, and a chronology of automobile design, as well as interviews and texts by specialists provide a deeper understanding of this vast topic through a variety of aesthetic, sociological, and historical perspectives.